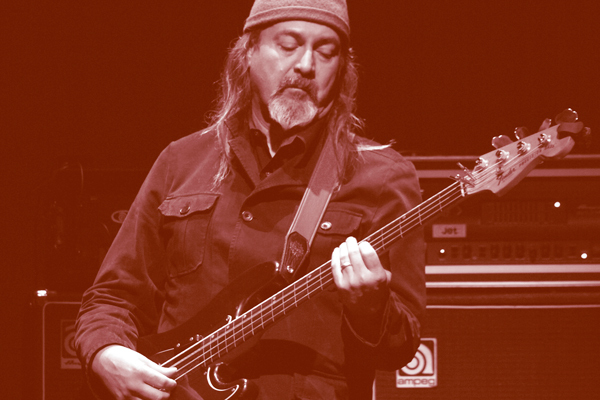 With approximately 4,000 projects to his name since 1978, it’s fair to say that bassist-producer Bill Laswell has been around a block or two in his day. As house producer for Celluloid Records, he recombined New York’s rock, jazz, funk, reggae, and hip-hop scenes in the ‘80s with inspired abandon. In 1983, he struck gold with Herbie Hancock’s “Rockit,” which led to lucrative production gigs for Mick Jagger, Yoko Ono, Public Image Ltd., Motörhead, and Iggy Pop. In 1990, he bought Greenpoint Studio in Brooklyn and launched his own label, Axiom, which provided him with a home base for increasingly esoteric experiments in improvised fusion as he began reaching out to the sounds of Africa, Asia, and the Middle East. At the same time, Laswell was laying down the sonic groundwork for aggressively avant-garde outfits like Last Exit, Praxis, and Painkiller while forging career-long relationships with looming figures like John Zorn and the late P-Funk keyboardist Bernie Worrell. Laswell’s currently moving forward with the combination musical collective and label Method of Defiance (M.O.D. ), whose recent emergence on Bandcamp gives us the opportunity to check in on this free-ranging American original. How’s Bandcamp working for you? What do you like about it? We have two pages, one for my label and one for me. The albums on the M.O.D. Technologies page are all fairly recent. My personal page mostly contains out-of-print albums and a few newer releases. It’s like a combination art gallery and storage room. It’s changed my mind about alternate ways of releasing music. Now I can record something tonight, edit it, balance it, create artwork, write a story, and tomorrow morning someone could access it, listen to it, or buy it. While my past experiences with digital releases and downloads were not positive, I can now see exactly what was sold, how much it was sold for, and even where it was sold. It’s a big difference from somebody telling you that your digital sales aren’t worth mentioning. Do you tweak the content in any way for the site? We try to do new artwork, and sometimes we remaster. I have a lot of live stuff from Japan and Morocco I need to go through and clean up, edit, mix, and master. What’s your focus as a player these days? It’s intuitive. Lately, it’s not so much about systems and notes as telling stories in a language you don’t even understand. I want to play with people who are also able to tell stories musically. The music is starting to be its own thing, and I’m just part of it. Like, this isn’t me—this is the record I made, the music, the sound. And lately, the sound has been mainly telling a story. I’ve had my own facility to work in for the last 20 years. It’s a much different environment than these spaceships in Manhattan where the assistant has an assistant, and somebody’s getting the menus because lunch is coming up pretty quick. They don’t do music. That’s something else. That’s why it takes so long and costs so much. I drift toward expression. That may not be good for your livelihood, but it’s good for you. Read the rest of the article where? I'm not seeing the hyperlink to the full interview in the final line?